I’m not surprised Marc Bergevin awarded David Desharnais with a contract worth $3.5 million a season as I am disappointed it took a 4th year to get him under $4 million. Am I outraged at the contract? No. Disappointed? Yes. Now let me explain why. First off, my concerns about David Desharnais have nothing to do with politics or quota desires of the Montreal Canadiens to please the fans and media who consistently will local players to be better than they really are. I’m only concerned about the Habs winning hockey games and hopefully, another Stanley Cup in my lifetime. 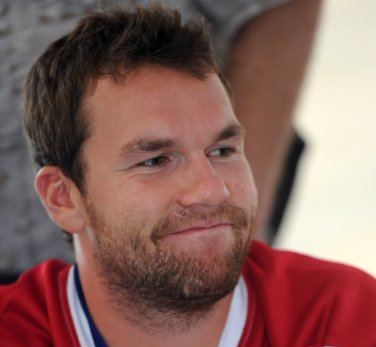 Is David Desharnais a top 2 line center in the NHL? No. Is Marc Bergevin paying him like he was? No. Is he being played like he was? Definitely, and that’s a bad thing. No center on the Montreal Canadiens gets more offensive zone starts than David Desharnais and no Habs center gets more power play minutes. So, with every opportunity to generate offense, with very good linemates I might add, why does his production drop 30% or more on the road? A serious concern given Montreal’s chronic struggles to secure home ice advantage. While even strength line matching on the road is a major reason why, the answer lies in the power play. Last season, only 10 centers received more power play minutes than David Desharnais and the offense generated in 40 road games? 0 goals, 2 primary assists and 5 secondary assists. This season, Desharnais is 21st in power play minutes among league centers and through 13 road games; 0 goals, 0 primary assists and 0 secondary assists. Update: Desharnais finished the season 21st in league PP/TOI among Centers and in 24 road games; 1 goal, 0 primary assists and 1 secondary assist. It’s his inability to generate power play offense away from the Bell Centre that threatens to limit Desharnais and why I believe he’ll be much closer to a 50 point player over the next 4 years than a consistent 60+ point threat. And that's if he keeps getting max offensive minutes and zone starts. Considering Desharnais has a weak defensive game and lacks the skillset to kill penalties, if he isn’t generating offense he’s not helping the Canadiens win hockey games. And given the cherry minutes and linemates designed to boost his numbers and prominence, I’m disappointed. There’s plenty of evidence to suggest that David Desharnais shouldn’t be used on the power play at all and his drag on the power play, especially on the road is nothing short of harmful. I understand the desire to see Desharnais succeed in Montreal but anyone expecting a string of 60+ point seasons will be sorely disappointed. Fact of the matter is, David Desharnais isn't a power play specialist nor particularly good for Max Pacioretty who has better Corsi numbers playing without him. So, if common sense eventually prevails and Desharnais comes off the power play, he'll shift towards a one dimensional, 40 point player... making $3.5 million. For fans and local media who've been calling for greater size & skill down the middle for years that got whiplash liking David Desharnais' 4 year deal, at least Bergevin gave him upper-echelon, 3rd line money for when his numbers don't justify top 2 line center minutes.